Huck Cordless Lockbolt & Riveter Tool Kit – Cordless riveting tools are gaining in popularity because they are portable and easy to use for any job, and the Huck BV4500 is proving to be a leader in this category. This portable riveter comes with an 18-volt lithium battery that powers an ion brushless motor. It also features a 1.18-inch stroke with a 4,500-pound pull, and it can set both structural and non-structural rivets up to 1/4-inch. The riveter comes with two batteries and a charger so that you don’t have to stop working when you run out of power, and the batteries are cross-compatible with other 18-volt Makita batteries. Huck-Marson "Big Daddy" Manual Lockbolt Tool – This manual tool is a versatile, handheld riveter that’s ideal for setting large-diameter blind rivets and lockbolts. It has longer handles to gain greater leverage and includes self-adjusting jaws. The Big Daddy also features single-unit body construction with a steel insert that provides stronger threads for the nosepieces. The kit comes with sets -06 [3/16] and -08 [1/4] “magna-grip” nose assemblies. The Huck Big Daddy can also be fitted with nose assemblies for -06 3/16 C98LT and C6L Huckbolts, 08 1/4 C6L Huckbolts, and 1/8- to 1/4-inch nose assemblies for pop rivets, monobolt rivets, T-rivets, and Q-rivets. Gesipa Powerbird Pro Gold Cordless Rivet Tool – The Gesipa Powerbird Pro Gold is another popular, portable, power riveting tool. Weighing in at 13 pounds, this battery-operated riveting tool has a 0.99-inch stroke so it can handle most blind bolts, and it has a pull power of 2,900 pounds. It can accommodate 3/16, 1/4, and 9/32-inch bolt diameters. BayTite Bulbing Blind Rivets with Shaveable Heads – These aluminum blind rivets are set using a standard rivet gun and break high. Once installed, the blind side has a large footprint with three legs for high clamping capacity. The excess mandrel is nipped and the rivet head can be polished so it will look like a solid rivet head. These bulbing blind rivets are available in various diameters. Stanley Proset XT3 Rivet Tool – This tool is a pneumatic blind rivet gun that can accommodate 3/16 and 1/4-inch bolts. The rivet gun is very versatile with different settings for breakstem rivets, lockbolts, and sealing plugs of various sizes. It also features a 26-millimeter stroke, making it useful for longer rivets. These are just a few of our best-sellers in January. Bay Supply offers a variety of fasteners and fastener tools for all applications. 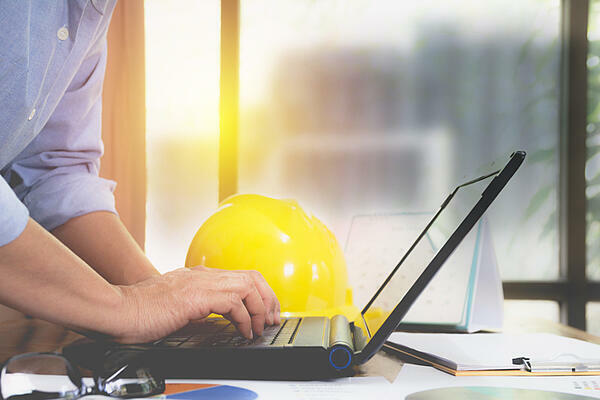 Whether you are searching for a pneumatic rivet gun, a cordless riveter, blind bolts, split rivets, lockbolts, or any type of fastener, we can help find the tool that best fits your needs. 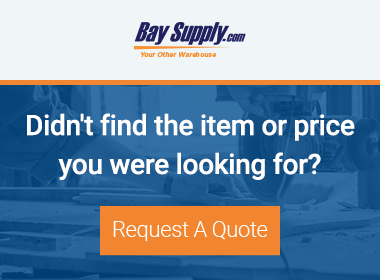 When you work with an experienced distributor such as Bay Supply, you can get the fastener products you need at a competitive price. We are committed to providing outstanding customer service to help you before, during, and after your purchase.